Y’all know NOT to stretch before lifting, right? If you’ve been a follower of mine for a while, you know that stretching a muscle temporarily weakens it – its called Stretching-Induced-Force-Deficit. You should warm up with lighter weights and perhaps some low-intensity cardio for just a few minutes before your intense T.H.T. lifting sessions. BUT…stretching at the right time can actually BUILD muscle. And I’m talking about EXTREME STRETCHING. When I made this discovery, I built it into my Advanced THT Workout as 1 of the 9 x advanced super-intense techniques for triggering NEW growth. I Call It ‘EXTREME STRETCH OVERLOAD’ (of the muscle fibers). 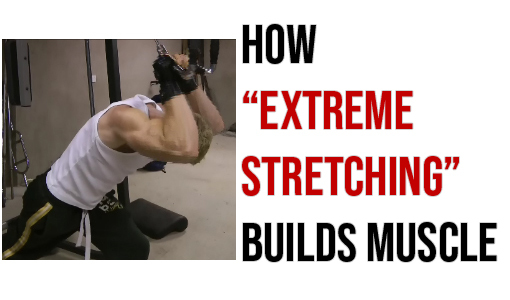 extent where it is FORCED to repair bigger and stronger than it was before, is with “Extreme Stretching”. 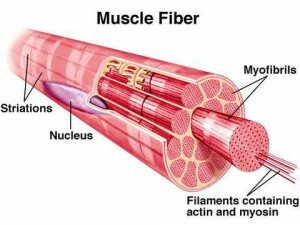 It has also been theorized that this muscle fiber and fascia stretching may cause hyperplasia (in addition to hypertrophy) to occur. This is the creation of new muscle fibers. This is definitely not certain at this point, but it’s worth noting. (2) IGF-1: Stretching a muscle will cause a natural release of ‘Insulin Like Growth Factor 1″‘ (IGF-1) – an anabolic hormone. In fact, it’s one of the big important muscle-building hormones along with testosterone and Growth Hormone. IGF-1 is not just critical for new growth, but also for optimizing the muscle-recovery process. 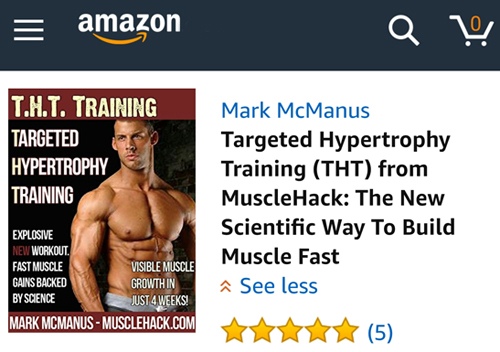 NOTE: Before you read on, if you like these kind of tips, I also have 9 other ways to jack up the BIG 3 anabolic hormones naturally. 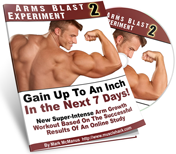 I’ll tell you how to manipulate them so that you get gains faster! When you do this type of stretching, you’ll literally feel it working. 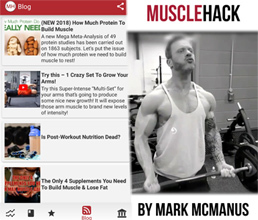 There’s a crazy BUZZ that occurs right inside the muscle – you’ll no doubt know that it’s working from the very first time you do it. 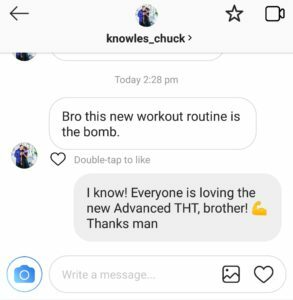 This is exactly why I built this into the ADVANCED THT training program. 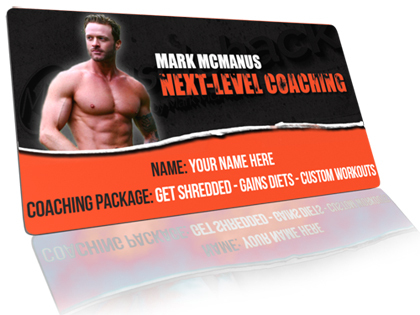 The gains that people have experienced since its release earlier this year have been unprecedented! Here’s one piece of recent feedback below. See more success stories here. Do all extreme stretches AFTER finishing training a certain body part, NEVER before. At the end of your last chest set, take a set of dumbbells and hold them down in the bottom position of a Dumbbell Fly. Do not push or resist the weight, let it push your arms down and that will create an awesome stretch across your pecs. Try to hold for 30-60 seconds. I promise that you’ll actually FEEL the difference in muscle fiber stimulation. 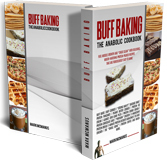 This can trigger an anabolic hormone rush that will result in bigger, thicker muscles! Get into the position of starting a set of Overhead Cable Tricep Extensions. But…let the attachment pull your arms further back than usual – basically as far back as they’ll go. Don’t resist the weight or push against it. Let it pull. 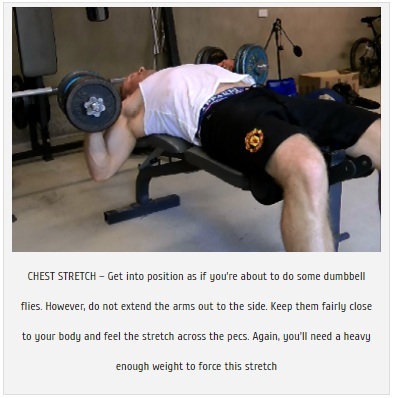 You’ll then feel that BUZZ and STRETCH right across your triceps. Muscle tissue is being damaged and your anabolic hormone profile is being elevated! Keep holding for as long as you can. If you can do 60 seconds, you’re a master! (Full and complete list of Extreme Stretches for every body part – as well as 8 other advanced methods can be found in the New Advanced THT Training 2.0).